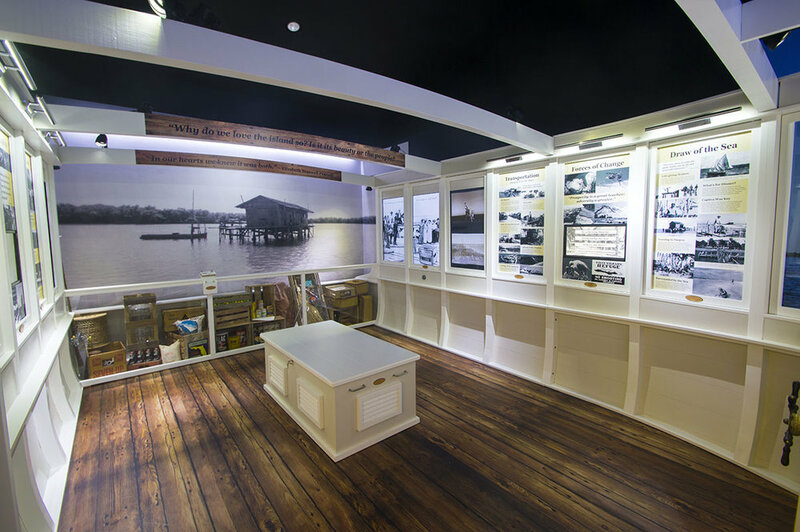 Wilderness Graphics planned, designed, fabricated, and installed an exhibit located in a 275-square-foot room, highlighting the history of Captiva Island. 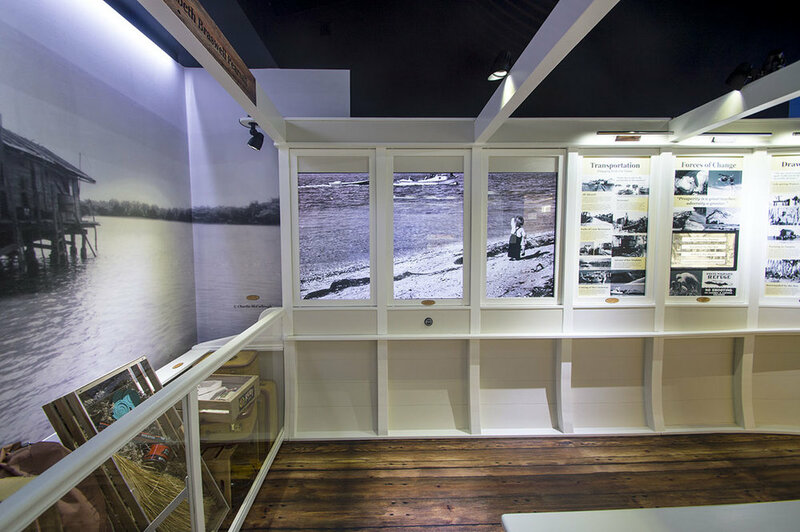 The room size proved to be a great opportunity for us to utilize our creative team to develop a unique and "captivating" design. 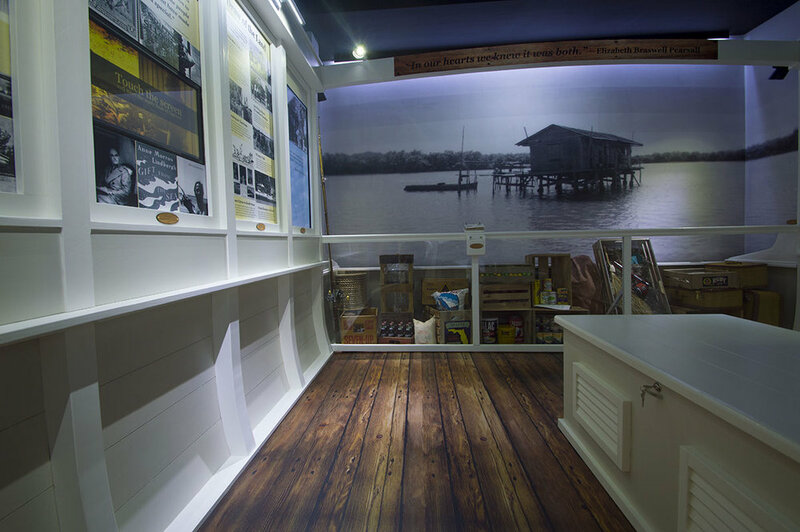 We turned the small room into the cabin of a mail boat - a strong historic feature of the early 20th century on Captiva. 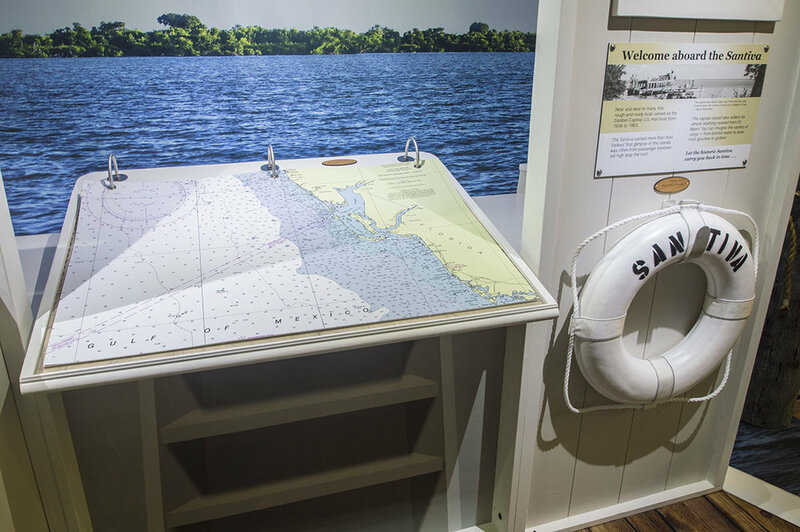 The mail boat was used to cross the bay every day to deliver mail and supplies to the islanders, a symbol of their isolation and independence. 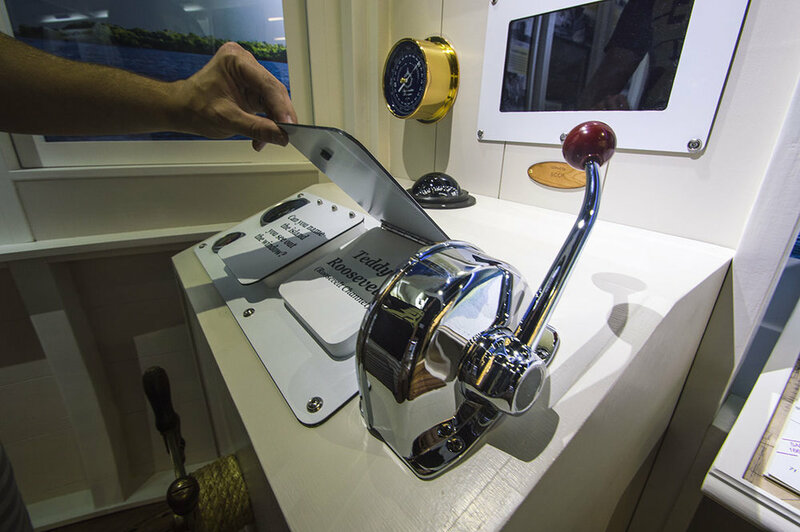 It retired in 1963. 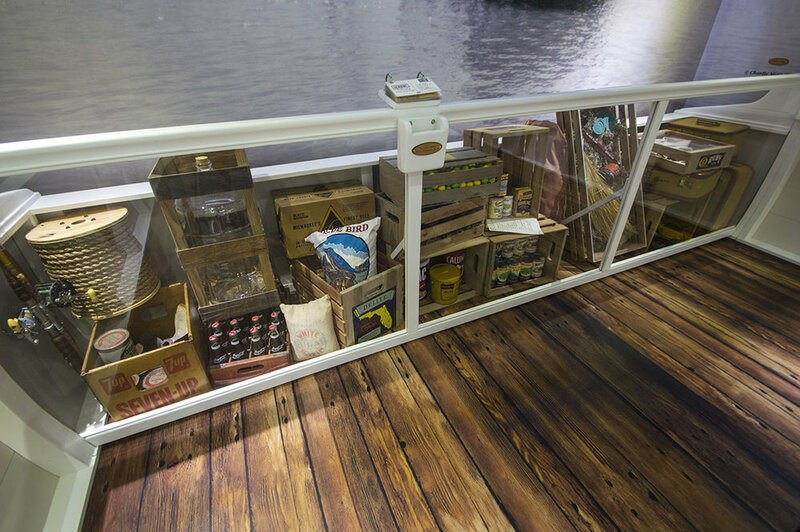 In our exhibit, each window of the boat is transformed into a "Window to the Past."